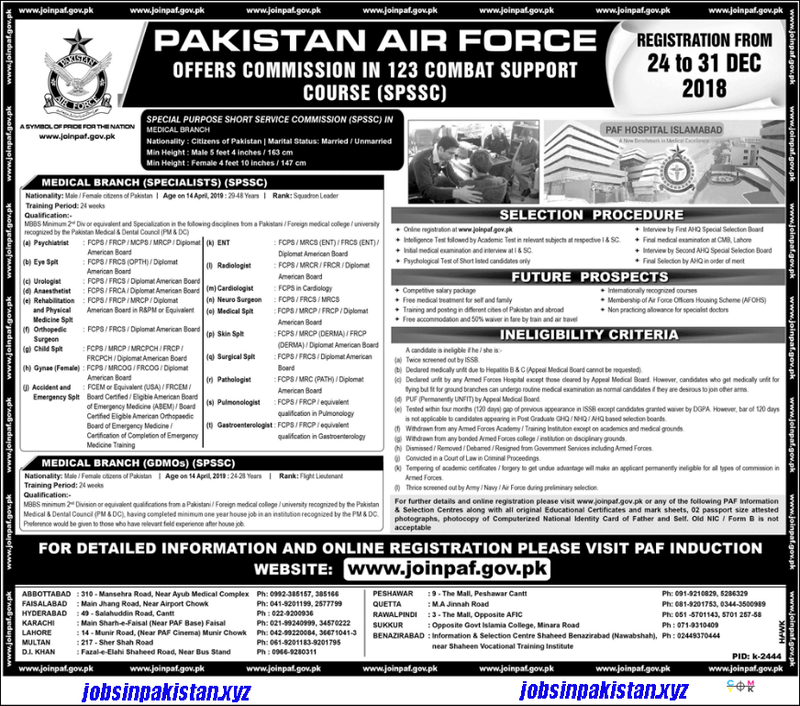 Jobs Description: Join Pakistan Air Force Through Combat Support Course (SPSSC). Registration is started from 24 December 2018. Pakistan Air Force recently announced an advertisement for Jobs in Medical Branch. Pakistan Air Force has required the applications for the following jobs. How To Apply: The interested candidates may register his/him self through Pakistan Air Force official website.